Attorney Antonio Moore discusses the impact of budget cuts, and the limited government caused by tax reform. Moore looks at how we can prepare ourselves entering 2018 for the coming economic storm. Moore digs into the types of cuts we are likely to see in the next year, and the specific impact those can have on the quality of black life. These cuts range from slashes to Higher Education, TANF Temporary Assistance for Needy Families, and Medicare. 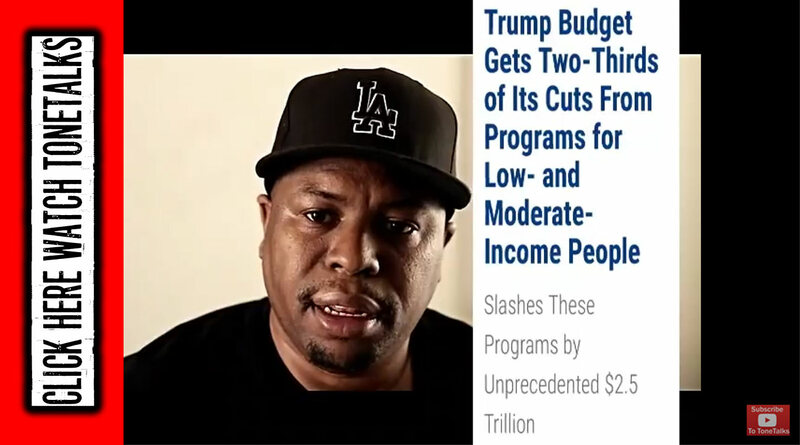 Trump Budget Gets Two-Thirds of Its Cuts From Programs for Low- and Moderate-Income People – President Trump’s 2018 budget contains the largest dollar cuts to programs for low- and moderate-income people proposed by any President’s budget in the modern era, reflecting a strikingly imbalanced approach to reducing the deficit or offsetting the cost of its proposed tax cuts. The plan would cut these programs by an estimated $2.5 trillion over the next decade. About two-thirds (66 percent) of the budget’s cuts would come from these programs, which help low- and moderate-income families afford the basics or improve their upward mobility.